Zagreb is bursting with life and flavours. There are new bars and restaurants opening daily. Offering both delicious and budget-friendly places to eat and drink in Zagreb. We have it all, offering countless places to eat and drink which offer delicious food and drinks in a relaxed atmosphere. Zagreb today offers traditional, local but also international food. But always with a bit of a Croatian twist. Today, most types of cuisine are available in Zagreb. We are at the cultural intersection offering a selection of Traditional, Italian, French, Austrian, Hungarian and Chinese restaurants in the city. For those with a sweet tooth, there is a selection of local bakeries, coffee shops and patisseries. Loosen up your belt and prepare for a feast. If you’re looking for quality street food, fresh and local produce or just a good hangout spot we got you covered. 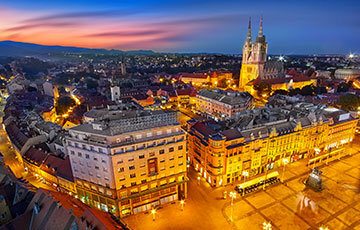 From dancing, till the sun comes up or just have a beer or a cocktail with your friends, Zagreb won’t disappoint. If you are hungry at night, do not despair. There are some great street food and cheap eats in the city. You think of it, Zagreb has it! Street Food, Cheap Eats, Italian, but also local and traditional restaurants. Zagreb is known for its coffee culture, relax and have a cup. A selection of best bakeries, ice cream shops and patisseries. Wanna go out dancing or simply grab a beer, glass of wine or a cocktail, we won’t disappoint. We offer you a list of places where to eat and drink in Zagreb.